I’m so close! 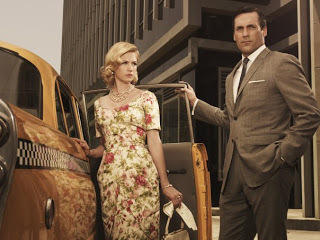 I have finished season three of Mad Men (read my posts on seasons one and two) and will soon be joining the rest of the world in enjoying season four. 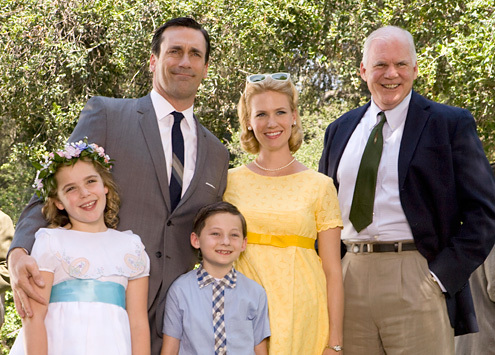 And man, were those last few episodes of Mad Men ever good! This third season was so good, I barely know where to begin. Instead of recapping the whole season, I’ll recap the standout moments – good and bad. Sal getting fired – In the first episode, Don spotted Sal in a compromising position with a hotel bellboy while on a business trip. He didn’t say anything, but Sal’s situation only got worse. Sal turned down sexual advances from a Lucky Strike executive who, out of spite, demanded that Sal be fired. Don fired Sal with a dismissive “you people…” and my heart broke a little. Poor Sal. I’ll always remember his “Bye Bye Birdie” song. I hope we see him on Mad Men again. Connie Hilton – Don started working for Connie Hilton, who was quite a character. I didn’t exactly like Connie, but he kept Don on his toes. He also made Don sign his first ever contract. The riding lawnmower – At Joan’s going away party one of the secretaries hopped onto the riding lawnmower that Ken Cosgrove had brought in after landing the John Deere account. She was drunk, lost control, and took off the toe of one of the visiting Brits. It was bizarre and hilarious. The Drapers – Poor little Sally Draper. Her dad’s a philandering drunk. Her mom’s a negligent ice queen. Her grandfather died. Nothing is right in this kid’s world, and from what I hear about season four things only get worse in her life. In season three Don started cheating on Betty with Sally’s teacher, and Betty almost cheated on Don with a local government worker Henry Francis. Instead, she ended up leaving Don – for good, this time. The catalyst was when Betty discovered everything about Don’s secret past. She found a key to the locked drawer of his desk and found pictures of his family, that he’d been divorced, everything. He had to come clean and she wouldn’t forgive him. Joan – Poor Joan. She thought she was getting what she’d always wanted. But after her doctor fiancee raped her toward the end of season two, everything changed for her. She left Sterling Cooper in anticipation of her fiancee’s career as a surgeon, but that changes when he’s told his hands are too shaky. She finds employment at a store instead, and toward the end of the season her fiancee announced he’s joined the army as a doctor. Peggy – Peggy continued her climb up the corporate ladder and moved into Manhattan, but she also started up a romance with Duck. I was really hoping I wouldn’t have to see Duck anymore, and I hate him for Peggy. She’s so much better than him. Kennedy – In the second last episode of the season, President Kennedy is shot. This episode could be used as an example of why I love this show so much. The incorporation of a major historical event into everyone’s lives was so artfully done. How it influenced Betty, and her decision to leave Don. Roger’s daughter’s ridiculous wedding. The fact that Duck kept the news from Peggy until after he’d slept with her. It was a brilliant, brilliant episode. Finally, the most important thing that happened in the third season happened in the final episode. 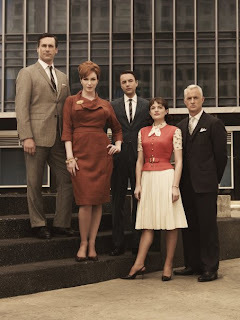 Upon learning that Sterling Cooper’s parent British company was planning on selling them to another agency. Instead of accepting their fate and becoming nobodies at a company they hate, Don and the others planned a coup. Lane “fired” Don, Roger and Bert so that they wouldn’t be breaking their contracts. Then Lane was fired by the head honchos in Britain. It was brilliant! They grabbed as much as they could in terms of clients and supplies from the Sterling Cooper office over the weekend, and recruited Pete, Harry and (eventually) Peggy. Peggy was reluctant at first because it never seems as though Don values her work, but I knew she’d come. The best part was when Roger called in Joan to help them execute the coup. No one knew where anything was other than her. 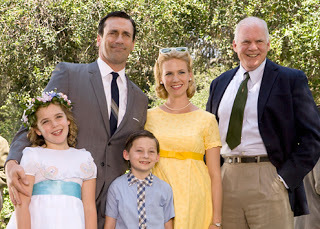 With so many major changes occurring in the last few episodes – Don and Betty’s impending divorce, the newly formed ad agency – I can’t wait to start watching season four. No wonder this show wins the Emmy for “Outstanding Drama” every year.